Brad Treat is the co-founder of SightSpeed.com a small company dedicated to make video communications over high bandwidth Internet connections easy to use, inexpensive and with outstanding quality. His company, SightSpeed, is a Berkeley-based startup built upon a decade's research into video compression at Cornell University done by co-founders Toby Berger and Aron Rosenberg. Brad Treat brings to this interview the confidence that videoconferencing as we have come to know it is about to end. The need for proprietary hardware-based videoconferencing systems is over and technologies like the one his company is developing and marketing show that the buzz is actually true. While the breakthrough videoconferencing service SightSpeed markets it is not something that everyone having access to the Internet can use (you need at least 128 Kbps of bandwidth to make it rock), it showcases for a large number of users on high bandwidth connections how GOOD and easy videoconferencing can actually be. 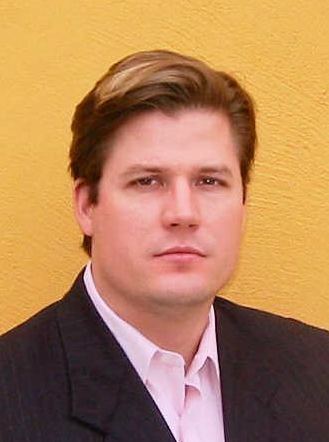 Brad Treat, like many others at this time, must carefully assess the market and the competing technologies becoming available each week, and juggle a difficult act of diversifying, simplifying and marketing effectively its videoconferencing service while leveraging the enormous viral marketing potential of these tools. Becoming too much enamoured with one's own technology and forgetting to keep an hawk-like view of other emerging technologies maybe the greatest limitation that all types of Web and videoconferencing providers have met so far. Robin Good: What do you think the future of Web conferencing has in store for us? Are things going to change dramatically in the coming years? Brad Treat: We think that real time, fluid visual and audio communications over the web will become a natural and ubiquitous application in the next few years, like IM has become over the last few years. Robin Good: What are the key trends that you have been spotting in the web conferencing industry in the last 12 months? (4) the availability of SightSpeed's software-only videoconferencing service that can rival the performance of expensive room-based systems. Robin Good: In which ways are the SOHO and "enterprise" markets substantially different when it comes to Web conferencing, live presentations and real-time collaboration? Brad Treat: Up until now, only enterprises could afford to have high-quality videoconferencing. SOHO users couldn't afford room-based systems and they were to much trouble to manage in any case. SOHO users had to get by with low-quality (but still difficult to use) services such as NetMeeting. Now that both SOHO and enterprise users can have high-quality, low-cost and easy-to-use videoconferencing, we think the differences between the markets will be reduced. Robin Good: When you think about how people will use Web conferencing tools in the future, what do you see? What will be the main differences from today? Brad Treat: We think in the future there will be a growth in the use and capabilities of multi-party Web conferencing and collaboration. We also think you will see the availability of real-time, 30 frames per second videoconferencing over mobile wireless devices in the not-to-distant future. Robin Good: Your company, SightSpeed, develops and sells a powerful videoconferencing solution that is also cost-effective. Do you think systems like yours will replace expensive hardware-based proprietary systems? Brad Treat: The Roda Group is a major investor in SightSpeed. During their due diligence, they invited a former executive of a hardware-based videoconferencing manufacturer to view the SightSpeed service. When he saw it, his jaw dropped and he said "Our engineers were always worried that this would happen." Robin Good: If you were to design now an ideal conferencing tool, which had the best of your own technology and could add whatever else you thought still missing, what features would you add? Brad Treat: We haven't yet focused much on the data sharing side of Web conferencing, like what WebEx offers. We may offer those capabilities through partners or we may add them ourselves. Robin Good: When conferencing online what are the tools and facilities that people can't do without? Brad Treat: Well, up until now, people having been doing without high-quality, real-time visual communications. We think that in the future, that's something they won't be able to do without. Robin Good: Why companies having 100,000 or 10,000,000 collaboration tools out in the market (instant messengers) have not been able to capitalize on their reach, while comparatively small firms in the enterprise market have been able to repeatedly scout the best margins in the industry? Brad Treat: Most IM services are free and it's hard to get good margins from free products. I think the smaller companies have been able to zero-in the specific capabilities that enterprises need and are willing to pay for. Robin Good: If you were to list three conferencing technologies outside your own, that have strongly impressed you for their effectiveness, which tools would you list? Brad Treat: WebEx, Logitech's QuickCam Pro-series cameras, and Polycom's audio conferencing phones. Robin Good: Conferencing, meeting, live presentations, online collaboration. Are all these activities basically similar and do they require the same toolset? Brad Treat: Just like there are many types of face-to-face meetings, the requirements of online interactions can vary widely and require different toolsets. While we think real-time video communications will become an important tool in many online interactions, we think people will continue to use and combine tools from a variety of providers. Brad Treat: I'm not sure I know of one major mistake that applies to the whole market. Robin Good: What do you think of open standards and interoperability when it comes to online Web conferencing? Brad Treat: We think the situation is different for software-based, instantly available services and for hardware-based services. If you pay $20,000 for a videoconferencing system, you want to make sure it is based on standards. But with services like SightSpeed, anyone you collaborate with can instantly get the service, so the "standard" is established between the two parties right then and there. Robin Good: What are the issues about security and identity that may arise in the future when people will be seriously working online? Brad Treat: Being able to see the person you are collaborating with adds an important level of security to the Web conferencing market. Robin Good: What chances do small companies have to play an important role in this market? Can they compete with WebEx and Microsoft? How? Brad Treat: We think the market for Web conferencing is just beginning and that small companies will play a critical role in its development. Of course, WebEx and PlaceWare were small companies not too long ago! Brad Treat is the co-founder, director & CEO of SightSpeed.com a new videoconferencing and real-time collaboration start-up. strategy experience at both startups and large corporations. Mr. Treat experience includes work for a private equity merchant bank, engineering and management capacities, operations, and personnel management. Mr. Treat holds a degree in Mechanical Engineering from North Carolina State University and an MBA from Cornell University.